Elevated by three stout metal legs, the device looks like a mini space capsule, wrapped in black fabric with a flat top housing touch-enabled control buttons. NEW YORK: Voice is the next big platform and sensing immense opportunities, Samsung has now forayed into the smart speaker market where Amazon Echo with in-built Alexa, Google Home with Assistant and Apples HomePod with Siri are currently calling the shots. 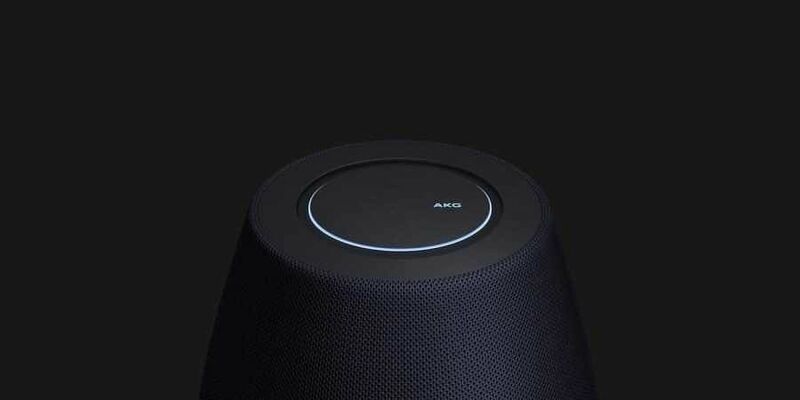 Not any more, simply because Samsung "Galaxy Home" smart speaker with an in-built Samsung voice assistant Bixby, showcased here during the flagship Galaxy Note 9 launch, has upped the ante with a promise of surround sound-style audio with six built-in speakers and a subwoofer. Just say "Hi Bixby" and it will play your favourite songs, tell the weather outside or fix appointments just like the current smart speakers do. Three metal legs ensures the device can be kept anywhere at home - even in a cosy corner on the floor - while other smart speakers do need a desk or tabletop. Although Bixby needs to leverage more capabilities compared to Alexa or Google Assistant, Samsung is confident that the smart speaker is meant to "combine amazing sound and elegant design". The global smart speaker market is growing by leaps and bounds and is estimated to hit around $3 billion in 2018 - and reaching nearly $12 billion by 2023. In the first quarter of 2018, Amazon and Google accounted for 70 per cent share of the global smart speaker shipments, with Apple selling 600,000 HomePods in the period. According to market research firm Strategy Analytics, global smart speaker shipments reached 9.2 million units in the first quarter. With 43.6 per cent market share, Amazon shipped an impressive four million smart speakers during the quarter and Google had 26.5 per cent market share with 2.4 million sales. Chinese giant Alibaba shipped 700,000 million units and garnered 7.6 per cent market share. Today's smart speakers are by no means the finished article but they have captured the consumer imagination. "We are clearly heading towards a time in the not too distant future when voice becomes a standard mode of technology interaction alongside established approaches like keyboard, mouse and touchscreen," said David Watkins, Director at Strategy Analytics. To begin with, Samsung can focus on markets such as the US, UK, Canada and Australia where smart speakers are selling like hot cakes. In India too, people are getting warmed up to smart speakers, making them a must-have in their drawing rooms. To give Bixby more power, Samsung has partnered with the music streaming service Spotify. The partnership makes Spotify easily accessible to seamlessly sync and transfer music, playlists and podcasts across Galaxy Note 9, Galaxy Watch and Smart TV products - and smart speaker is next on the list. Samsung, which is now building an entire ecosystem around smartphones and smart home devices, is yet to reveal the official date for Galaxy Home launch but when it does, 'Hi Bixby' will be some challenge to the existing voice assistants.